1280D Ballistic Poly, Tarpaulin, 600D Poly construction. Rigid aero construction holds shape when empty. Zipper-less main compartment opening for ease of access. Multiple internal compartment storage with collapsible divider partition. "Dust Gasket" seal protects inside contents from rain, dust, mud and snow. Quick access molded top pocket with weatherproof zipper. External removable insulated water bottle holder. Adjustable/removable cinch strap system for extra gear storage. 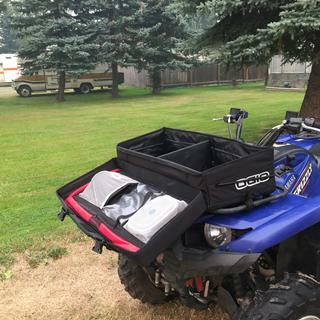 Oversized bungee "Lid Lockers" keep bag closed at highway speeds. Multiple D-rings for added tie down attachments. 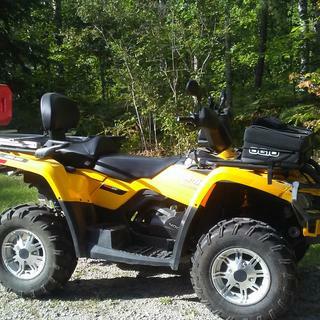 Durable Velcro strap tie downs easily secure to most ATV's. Internal zippered water resistant mesh pocket. Two large internal elastic mesh compartments. Four small internal elastic mesh compartments. Weight: 10 lbs. / 4.5 kg. Dimensions: 8"H x 31"W x 12.5"D.
I could fit everything I needed to conquer Costa Rica's tropical forest and beaches around, Love it its a must for the adventure times. Awesome product. Very pleased. Great quality. Truly a $179.99 bag, at a great price. Great fit, nice and strong. 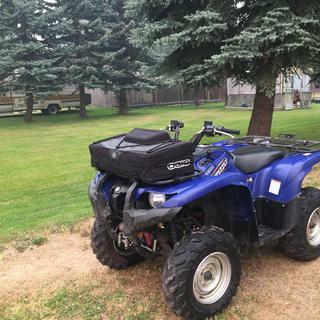 Great Product, The only issue was the strapping system doesn’t work very well for the 2018 Polaris Sportsman XP front rack. Ended up putting it on the back rack for now. Rack bag was a great buy for Christmas gift for my husband. Bought the bag with the intention of adding a few extra supplies, food water for day rides. 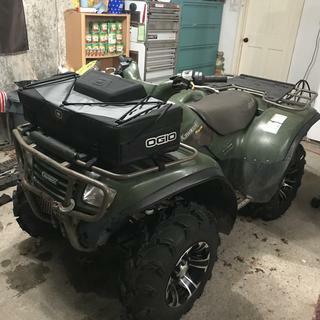 Everything fit great and looked great once mounted to ATV. About 1 hr into the ride bag came, loose, had to stop and tighten constantly due to poor velcro straps. Not more than 2 hours in the straps began to tear away from the bag. Luckily I had some rope and bungees to tie down the bag with. 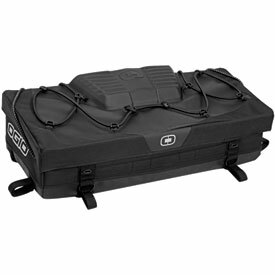 Ogio did nothing to warranty the product and I would not recommend the bag to anyone! Worked for an hour and now its completly useless. Incredibly dissapointed with the customer service and quality. Is this bag pretty good at keeping dust out? BEST ANSWER: Yes. Better than pretty good. We call it the "lunch box." When we go riding we put most of our food in there because it stays so clean. We had a dry summer so it got tested to the max. I'm going to get another for the back. Yes, the top seals out dirt quite well. The top overhangs a couple inches and there is a sewn in seal on the inside. Yeah not too bad. It closes fairly snuggly and has a fairly large overhang portion. BEST ANSWER: Yes, we do ship to Canada. 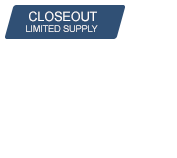 Please email sales@rockymountainatv.com with a list of part numbers you'd like to order and your full shipping address and they will be able to reply with a shipping quote for you.